Ah, the question that is keeping some of you up at night! There’s a reason why we don’t claim any of our grass seed to be a miracle, because it’s nothing to do with miracles – its just science. 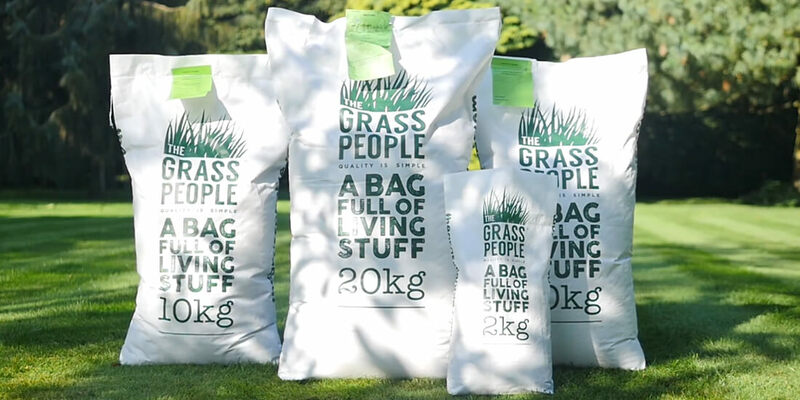 There are few things that grass needs to grow, and without it, it won’t – so let’s talk about what those things are. Seed needs warmth, and the soil must be warm enough for it to germinate. In spring it may start to feel warm, but the soil can still be cold – especially at night! The first thing you must consider before sowing your seed is whether it is warm enough to. We recommend that temperatures must be 10 degrees and up, consistently forecast for two weeks before you consider sowing. Seed is resilient stuff. It will lie and wait until it’s warm enough to germinate even if the temperatures have dropped slightly and if the birds don’t get it first! (Your seed should have been buried at least three £1 coins deep beneath the surface). Don’t water your seed when it’s too cold (ground temperatures lower than 10 degrees) or there has been prolonged wet weather. You’re not encouraging germination, just possible rotting. So now that it’s warm enough your seed needs to take in water through its membrane or coat. It will take in moisture this way to expand its cells and encourage them to sprout. Watering little and often is the best approach – this means no flooding. The seed will wait for rain if it’s not watered – and this will delay germination. Germination needs oxygen. Respiration breaks down the food store within the seed. This store is the energy it needs to grow. Without air in the soil this can’t happen and without access to its food store the seed can’t grow. So the first shoot pushes up to the surface and the beginning of a root system pushes down. Once germination begins, if the environment changes significantly (e.g. too hot and dry), the seedling may die. It still needs water to continue growing and is vulnerable at this stage. Grass benefits us all. It adds oxygen to our air, filters out pollutants, cools the environment and is lovely to sit, play and have fun on. When the seed has broken ground and the first shoot comes out of the soil, light is essential for energy to create new cells and leaf growth through photosynthesis (making its own food from the sun, CO2 and water). So now you know what your grass seed needs to germinate, you can understand why these variables will either speed up or slow down germination. Grass seed can grow in a week if weathers are particularly hot (i.e. a heat wave), or they can take up to 6-8 weeks to grow and establish when temperatures are mild but indifferent and varying day to day. The short answer is, your grass seed will germinate and grow when it’s good and ready to and has everything it needs to do so. After all, it’s a living thing and requires the right conditions to make its much anticipated appearance!